Best Google Chrome Extensions for Productivity and Privacy (2019) – Now when someone comes up with the question regarding the most used Internet browser, hands down, it is Google Chrome, and it is unanimous. Millions use Google Chrome browser for its relentless features, absolutely productive tools and the super-cool add-ons. Once you set foot in the Google’s Chrome Web Store, there is no going back. Just like the Chrome browser, the Chrome Web Store has become more popular quite similar to the Apple’s App Store which is overstuffed and pretty much tough to navigate. Chrome extensions are browser add-ons that can assist in streamlining your online tasks and aid you get more work done when directed to worthy usage. Undoubtedly, Google Chrome is a great web browser and a good choice for both the Windows and Mac users. However, with the addition of a few extensions, a fine browsing experience can be transformed into splendid. Chrome extensions can get fascinating to quite essential with savvy use. Here, I have compiled a massive list of extensions using which you could probably boost your productivity and protect your privacy as well. Despite all these extensions are free of cost, some do allow you to upgrade to a premium service that offers great functionality. You can find your essential Chrome extensions on the Chrome Web Store so that you can download them right from there. I’ve included the best Chrome extensions that will certainly keep you focused and productive during working hours. Take a look! Sometimes, you get distracted looking at the random curious articles and it gets you to the certain point of the day where you’ve read more articles than getting the actual work done. If you want to bid adieu to that scenario you just need to install the Pocket extension. Using this extension, you can simply click on the “pocket” in your toolbar, categorize by selecting a proper tag and build up your reading list. You can enjoy them for later as a reward for a work well done. Using Pocket, you can easily save articles, videos and more for later. With Pocket, all of your content goes to one place, so you can view it anytime, on any device. One of the most interesting elements is that you don’t even need an Internet connection. You don’t have to lose track of the interesting things you find by emailing yourself links or letting tabs pile up in your browser. Just save them to Pocket. Great idea, isn’t it? This happens more often, we seldom close the unused tabs in the browser. Though Chrome is a fantastically flexible browser, but running too many tabs at once can gobble up RAM like nothing else. If you’re the kind of person who ends up with dozens, or even hundreds of tabs open while you’re paying attention to multiple works, Tab Wrangler is something you need to consider. This extension will automatically close those certain tabs which you haven’t used for a certain period of time. If that sounds alarming, don’t worry – all closed tabs are saved in Tab Wrangler’s ‘corral’ so you can re-open them with a click. Any tabs you really need to keep open can be pinned so they stay in place. You can even adjust the closure time as per your convenience. This extension is a brilliant choice for tab-addicts, but bear in mind that it doesn’t save the state of a page, so if you’ve been working on something in a web app or form, it’ll be lost. With the smartphone on the desk, there are a zillion ways you get distracted. A mere blink or a beep sound is all enough to take you off-track your work and that isn’t productive. This extension ‘Pushbullet’ puts all your chat services in your browser, including WhatsApp, Kik, Facebook Messenger, and even SMS messages at one place. After installing this extension in your browser you’ll start getting notified about the messages and calls, and dismissing them on your desktop will clear them from your handset too. If you’re at your desk anyway, why not make full use of your keyboard and mouse? Sending text messages from your computer is far easier than using a fiddly touchscreen, and sharing links is effortless. Everything is online nowadays and there are tens of websites where we sign up with different passwords. Starting from the social media handles to the college portals, we literally get messed up when it comes to type down the password because we seldom remember them or often get confused about where to use which password. This extension ‘LastPass’ resolves the problem by creating a different strong password for every site, storing it locally in an encrypted vault, and automatically filling web forms and logins as required. You just need to remember a single master password, and LastPass takes care of almost everything else on its own. Unlike some password managers, there’s no need to add all your usernames and passwords to a database before you can use it. Just install the extension, and whenever you log into an online account, it will ask whether to save it. It’s wonderfully convenient. You might have seen how spell check can be very beneficial, but this particular extension does more than the normal sentence structure, grammar discrepancy and spell check. Grammarly is one of the popular writing-enhancement platforms that have the capability of proofreading and plagiarism-detection. It is an amazing online grammar checking tools that claims to check for over 250 types of spelling, grammar, and punctuation errors in writing. It brings completeness to your writing with much improvement thus makes your content look exceptional delivering proofreading services. Grammarly supports several document types, and you can categorize each document as a blog post, as an article and as a business document. Grammarly helps you identify a variety of mistakes that includes chaotic prepositions, overuse of the passive voice and verbose sentences. AdBlock is one of the most popular Google Chrome extensions available on the web. The extension removes the frustration of irrelevant banner advertisements from your web experience. That may seem like a minor difference, but visiting some sites that tend to be bogged down with such irritating ads can truly enhance your experience. AdBlock also works with other browser platforms such as Safari, Opera, and Firefox if you don’t have Chrome. AdBlock is another popular extension with a good rating around 169,000 users, this one’s pretty understandable with what it does. You can finally check out sites without those troublesome ads that keep on popping up on your screen, like mushrooms on a rainy day, when you get this Chrome extension. It’s quite simple to use, and once you download it for your Google Chrome, it activates automatically. When your work include online research, you tend to have around 15, 20, maybe more than 30 tabs open. You can’t even close them because you might fail to recall going back to those sites. Now, we all know that keeping a plethora of tabs open is not the finest way to manage multiple things to do, but it just can’t be helped because you know you need all those sites and their information as you are working on those sites. That’s where OneTab comes into picture. With just a single click on its icon, it will turn all your tabs into a list. When you need to check up on the site again, you can simply restore it individually or all at once. This Chrome extension is the most beneficial extension that can help you de-clutter your tabs and reduce the CPU load, as having a lot of tabs open means a load of scripts which can slow down your PC or Laptop. StayFocusd is one of the useful extensions for a Google Chrome user. It is a crowd favorite extension which has garnered high rating by 572,000 users and counting. Well, the internet, despite a prodigious tool, has also given us annoyance from to all those times we get side-tracked by much-loved social networking platforms like Facebook, YouTube and Twitter. StayFocusd keeps one disciplined by setting a determined amount of time on these types of sites, and permitting those prone to distraction to essentially get some work done. All you need to do is simply configure your account to block specific sites or even specific page content like videos and games, and you’re good to go. Once your time limit is finished, StayFocusd blocks your access to these time-wasting sites for the whole day. Privacy Badger is a browser add-on that stops advertisers and other third-party trackers from covertly tracking what pages you look around at on the internet. If it notices that an advertiser looks to be tracking you across multiple websites without your permission, Privacy Badger will automatically block that advertiser from loading any more content in your browser. The extension is especially designed to automatically protect your privacy from third party trackers that load invisibly when you browse the web. They send the Do Not Track header with each request so that the extension assesses the probability that you are still being tracked. If the algorithm considers the possibility is quite high, it automatically blocks your request from being sent to the domain. Chrome Remote Desktop isn’t technically an extension, but it gives you the supernatural ability to access other devices from your own and vice versa. Chrome Remote Desktop let users remotely access another computer through Chrome browser or a Chromebook. Computers can be made available on a short-term basis for situations such as ad hoc remote support, or on a more long-term basis for remote access to your applications and files. All connections are completely secured. Did you left a file at work? Connect up via Remote Desk and grab it. It’s also an easy way to share your screen with someone else if there’s a difficult. Google Mail Checker is a no-brainer for everyone who sends and receives email on a regular basis. It is a great extension which is brilliant in its simplicity, displays you how many unread messages are in your inbox without your having to open your Gmail and click/tab over and check. Like many Chrome extensions, Google Mail Checker saves you valuable time you could be using productively. MightyText is another best Chrome extension which does what iMessage has been allowing Mac users do for a while. You can send texts from a computer to other phones. Similar to iMessage, the extension gives you a pleasant notification when you receive a message. Until MightyText there was no easy way to communicate from your computer to Android phones. Now you need not worry about what kind of smartphone your colleague has. Nimbus Screenshot is an awesome tool for Windows users everywhere. The extension allows you to take quick and easy screengrabs. The Mac users have an Apple command for taking a screenshot. Likewise the Chrome Remote Desktop, Nimbus Chrome extension can be a great tool for communicating with colleagues or showing someone exactly what you’re looking at, when words just don’t express it. Page Monitor is an amazing Chrome extension that allows your browser to monitor web pages for changes automatically. It can inform you whenever a specific page changes without you having to go and check every time, and it can even display you what the modifications are. If you have a long list of websites then you can just take a look at this tool and you can do your work flawlessly. Dropbox has recognized itself to be tremendously beneficial for all the organization it does for your essential files, and with how easy it is to share the big files with a simple designated link. QuickDrop is an extension which allows the management of Dropbox files in Chrome. You can access your Dropbox files and folders using only a toolbar icon. In the displayed list you have the ability to list the files, navigate through folders. The breadcrumbs bar will let you jump in the navigated folders. Using the search field you can find any file or folder in your Dropbox storage. QuickDrop takes it up a notch by adding a menu to your browser. With easy access to uploading and downloading files, you may also quickly upload files online with just a single click. You can even create your special upload folder and share or rename your files in Dropbox without having to leave your page. Sometimes, what one needs to be more productive is just a constant reminder of their task priorities for that particular day. You can use DayBoard to type in your five most important tasks so that it will display your list every time you open a new tab in your browser. DayBoard is an extension that is actually referred to as to do list that emphasis on just 5 items each day. Begin your day by writing down the most vital tasks you want to accomplish. Every time you open a new tab, you’ll be reminded of your priorities to help avert you from visiting distracting sites (e.g. Facebook, Twitter and Reddit) and stay focused on the task at hand. DayBoard also features a history to show you your progress for the day, and a focus mode that displays you one task at a time. This Chrome extension will help you get through your work for the day with appropriate planning,and serves as a visual reminder of your priorities to stay dedicated on the task at hand. This extension is exclusively for those who want to read academic papers without stumping up for subscription fees. As you look for research, this extension searches for free and absolutely legal versions of the same articles and pops into view if it finds a match. Using this extension you can save a considerable potential of time and money. This literally is a reverse image search extension. Here you have a picture and you try to trace the origin of it. This extension named TinEye does that job for you. It focuses on the closest possible matches instead of just similarity, making it useful for finding originals, higher resolution versions, or checking for online fakes. The extension itself makes searches available in only a couple of clicks. This extension plays a prominent role when you want to schedule emails and keep a track on sent messages. The extension gives you the option to send emails at a chosen time, with preset choices ranging from a few hours to a month. If you want to get more specific, you can set your own custom date as well. It’s particularly useful for remembering who you’ve emailed and when, since you can choose to have a message boomerang back to your inbox if you haven’t heard a reply. Using this Chrome extension, you can browse web pages without distraction. No images, no videos, no animation. It also desaturates colors for a more relaxed experience. Disconnect Search is a service that uses a specialized VPN to allow you to search privately using your favourite search engine. The reason to use this is that they claim they don’t log searches, IP addresses, or any other personal info. These are the various beneficial Chrome extensions that help you boost your productivity and privacy. Hope this list helps you in the best way to increase your productivity and privacy. If having any queries related to Best Google Chrome Extensions for Productivity and Privacy (2019), please make sure to go through below provided links. I’m a big fan of Google Chrome and I feel it’s got just as many extensions as Firefox has add-ons. I also just prefer to use Chrome over IE, Edge or Firefox because I use Gmail, Google Photos, Google Drive and a whole host of other Google products. 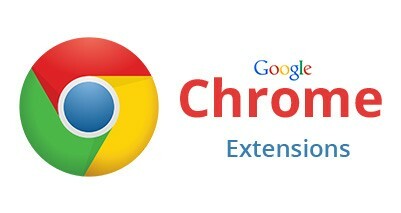 There are literally hundreds of great extensions that you can install to enhance Chrome in various ways. There are specific extensions for developers, music lovers, gamers, bloggers, and a bunch of other categories. However, there are some extensions that are more universal and can help pretty much anyone in their daily tasks. In this article, I’m going to talk about several extensions that I think everyone should install. Even if you haven’t heard of some of these, give them a try before you decide against using them. Having a lot of extensions installed can also slow down your browsing experience, so pick and choose what works best for you, but give each extension a try. You can easily delete or disable an extension in Chrome. It’s also worth noting that some of the extensions I have listed are based on my heavy reliance on Google, so if you’re not in the Google ecosystem, just ignore those extensions. One of the first things I like to customize in Google Chrome is the new tab page. By default, it’s a boring list of some recently visited sites and that’s pretty much it. Now there are a lot of fancy extensions that also replace the new tab with dashboards, wallpapers, task lists, etc., but I’ve found the simple Speed Dial 2 to be perfect for my needs. When I’m browsing the web, I just want quick access to my favorite sites. Speed Dial 2 does that by allowing you to organize all your pages and apps into groups. You can also customize the theme and heavily customize the layout. Lastly, you can create an account and sync everything across all your devices. If you don’t use any password manager yet, then make sure you try LastPass. If you’re using something like KeePass, then don’t worry about this extension. If you use another password manager like 1Pass, then make sure to install their extension. Password managers are a must these days with the number of companies being hacked always rising and the amount of personal information being leaked even greater. A password manager lets you create complex passwords that are different for each site. You obviously can’t memorize them, so you have to store them somewhere. The obvious fear most people have is that one of these companies will be hacked themselves and all your passwords will be leaked. That is a possibility and that’s why a lot of people use local databases like KeePass. That being said, I’ve been using LastPass for years and they’ve had one incident, which didn’t result in any compromised passwords. HTTPS Everywhere is one of those extensions you should just install and forget about. It basically tries to use HTTPS security on a site if it’s not already secure. It’s from the folks over at EFF, which is a great organization that exists to protect consumers in the digital world. The only downside I’ve seen with the extension is that it does use a bit more memory than all the other extensions. It’s not a big deal for me since I have 16GB of RAM on my computer, but if you have less RAM, it might be something to consider. Disconnect is also another extension you can install and just leave. It’s a great privacy tool for making sure every website you visit isn’t tracking everything you do online. In addition, because it blocks tracking, it also saves data and reduces the load time for sites. A lot of requests made to a website are just for the tracking cookies, tracking scripts, etc. Even though a site like mine relies on ads for income, I still recommend an extension like Adblock Plus because there are so many sites out there with tons of ads. Not only that, a lot of those ads have malware in them, which means you can get a malware infection just by viewing the site! That’s plain ridiculous. My site only shows ads from high quality networks and I try to keep my ads to a minimum that still let allow me to earn an income. The only downside to this extension is that some of the big sites, like Forbes.com, detect ad blocking extensions and won’t let you enter unless you whitelist their site first. I was a little skeptical of this extension at first, but the crazy number of good reviews finally made me try it. In the end, I have to say it’s pretty awesome. If you’re online, you have done some kind of online shopping. If you’re like me, you probably buy most things online except for groceries. Honey will automatically try to find coupons and apply them when you are checking out. Previously, I used to hit up RetailMeNot and a bunch of other sites trying to find a coupon that I could apply before checking out, but now I just use Honey and it finds and tries all kinds of codes. At this point, there are no ads or anything intrusive and hopefully that doesn’t change in the future. It recently saved me $255 on a Dell XPS laptop! Outside of browsing web pages, watching videos and shopping online, the other major activity in my browser is typing. Typing emails, filling out forms, typing messages in social networking sites, writing articles for my sites, etc. Basically, it’s a lot of typing and inevitably a lot of typing mistakes occur. Grammarly is a neat extension that will check your spelling and grammar as you type in a whole bunch of different web apps. Most web browsers like Chrome already check spelling, but Grammarly will give you Word-like suggestions for sentence structure, proper wording, etc. Most hardware firewalls that businesses buy for their organizations have web blockers to prevent users from accidentally visiting phishing or malware sites. They work by looking at huge blacklists of bad domains and URLs. uBlock Origin is an extension that does just that, but in an efficient and memory-saving way for your personal computer. Once you install it, you choose the different lists you would like to protect yourself against and that’s it. Sometimes it’ll block something it shouldn’t, but it’s super easy to disable it for the current website you are on. Highly recommended from a security perspective. As I mentioned previously, I’m watching a lot of video when I’m working on my computer. In addition to just YouTube, I also check out other video sites and Turn Off the Lights makes the experience more enjoyable. It basically blacks everything out or replaces everything except the video with a nice background. It’s really not an extension you must install, but if you watch a ton of video on your computer, it’s definitely nice to have. For YouTube specifically, you can have it play only the high resolution version of videos automatically. This is nice if you have a 2K or 4K monitor and have to keep changing those settings for every video. Lastly, sometimes you have to take screenshots of what’s in your browser and this plugin is way better than trying to use the Windows Snipping tool or something like that. 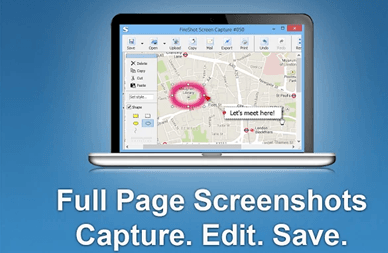 FireShot can capture full scrolling web pages and save them as images or PDF files. You can capture all tabs at once to a single PDF and upload it to OneNote. You can also edit the screenshots and annotate them. So those are ten extensions that pretty much anyone can use on a daily basis when using Chrome. I tried to keep them as general as possible, so most of them will do their work in the background without you even noticing. Enjoy!